Deciding which are the smartest dog breeds isn't easy because different breeds have different types of intelligence and excel in a variety of areas. Of course we all think our pup is the smartest, most adorable and sweetest pup in the world, and to us they are... but is your Fido among the most intelligent dog breeds? Do smart dog breeds make good family pets? There's been a fair amount of research done in this area, but there's no 'one-size-fits-all' answer to the question of which are the smartest dog breeds. Instinctive - this includes basic instincts common to all canines, and breed-specific traits/behaviors that a particular breed has been selected for. Adaptive - how quickly and effectively a dog learns to adapt his behavior to his environment and learn from experiences. 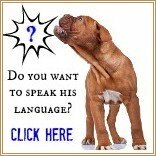 Working & Obedience - how well a dog learns to understand and obey human commands and how quickly he can carry them out. 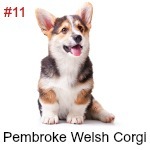 Although it's not possible to compose a definitive list of the smartest dog breeds due to all the different components used to determine canine intelligence, there are some top contenders! 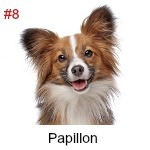 You'll notice that the dog breeds shown above are working dogs (yes, even the Papillon started off as a farm dog and hunter of vermin). 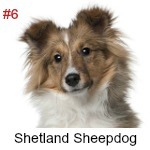 They were all originally bred to work for/with their owners and that's why these breeds are generally so impressive when obedience is involved. Good representatives of the breed need to obey quickly and consistently or they won't be used as part of a reputable breeding program - this way the best, and smartest, bloodlines are the ones which are continued. 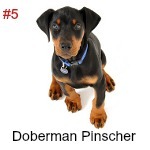 The dog breeds pictured above all excel in the 'Working & Obedience' element of canine intelligence. But the smartest dog breeds also need to perform at a consistently high level in both the 'Instinctive' and 'Adaptive' areas of canine intelligence. Have the right genes. 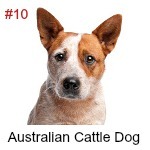 Ones from dogs who carry a strong desire to follow the right breed-specific instincts needed to herd livestock. 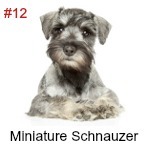 To adapt his instinctive behavior to fit his owner's specific needs and training style. To understand commands and obey them. When a Border Collie is herding sheep he is using all 3 areas of intelligence and truly is demonstrating how smart he is! But some jobs that dogs do require less obedience work and more independent-thinking..... for example dogs who guard livestock in remote areas and who are expected to work alone for long periods (this includes breeds such as the Great Pyrenees). The need to be self-reliant becomes an instinctive behavior for these dogs over generations, and that ability to think for themselves can be at war with an owner's desire for the dog to obey him instantly and without question. If we were to judge the intelligence of a Great Pyrenees of Anatolian Shepherd based on their speedy reaction to a command, then it might be tempting to think that the fact that they're slower to respond than a Border Collie or German Shepherd means they're not as smart. They are simply obeying their instinctive need to use their own judgement. It's just a slightly different balance of the 3 intelligence traits and puts these dogs right up there with the rest of the smartest dog breeds. How Smart Are Dogs In General? Anyone who's ever owned a dog knows that they're a quick study. Especially as puppies, they'll pick up on habits, emotions and 'cues' with almost no help.... often absorbing knowledge you wish they didn't! But how does the dog compare to other animals, or even humans, in terms of intelligence? 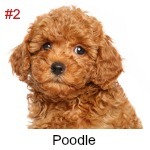 According to several behavior studies and measurements, Dr Coren believes that a dog has approximately the same level of intelligence as a 2 1/2 year old child. 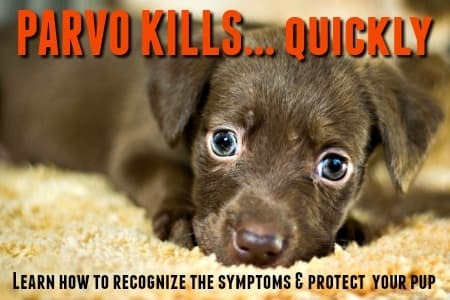 Dogs have highly developed problem-solving skills, can understand between 165 and 250 words plus a whole range of symbolic actions/behaviors including tone of voice, human body language, whistles, visual commands/cues and more. They can even count, sometimes as high as 4 or 5. Did you know that many dogs can count? Yes, really! 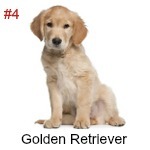 For a month give your puppy/dog three treats every time you reward him. To prevent him from packing on the pounds due to this bounty, you can split one treat into three! At the end of the month, go back to giving him just one treat per reward. Dogs are also intuitive and creative and capable of being manipulative (another observation that won't surprise an experienced dog owner!). In fact current scientific research and studies have shown that dogs are much closer to primates such as apes and chimpanzees in intelligence than was once thought. 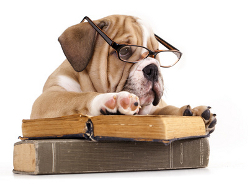 The Smartest Dog Breeds - Do They Make Good Pets? There's no one-size-fits-all answer to this either because there are just so many variables! 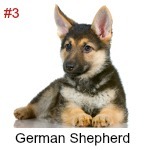 When you're trying to choose the right dog breed for your family there are a lot of things to 'match up'. 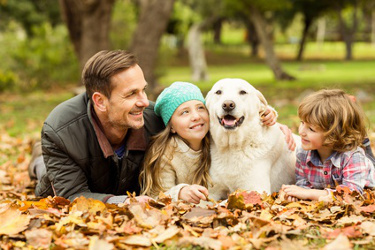 Activity level, age of children, living space, outdoor space, past-times/hobbies, health concerns, time availability, finances..... they all play a role in determining which dog is the best fit for you. Is the highly intelligent Border Collie the #1 family dog? 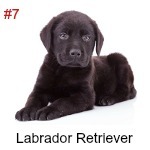 No, that position belongs to the firm favorite - the clever and friendly Labrador Retriever. 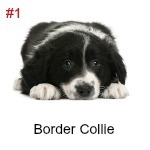 In fact the Border Collie doesn't even feature in the Top 10 Most Popular Dog Breeds. Why is that? From decades of personal experience raising and training dogs I'd say it's because the level of intelligence, 'drive' (read: desire to work) and activity level of this breed is much too high for the average family home. A dog like this NEEDS lots of exercise and stimulation, both mental and physical. He NEEDS a job to do (preferably one he's hard-wired to perform, or failing that competitive obedience, dog agility, or some other challenging dog-oriented sport). He's not your average one-walk-a-day-and-sleep-on-the-sofa type family pet! If you try to fit a high-drive, working dog into a laid-back family environment no one is going to be happy - human or canine. 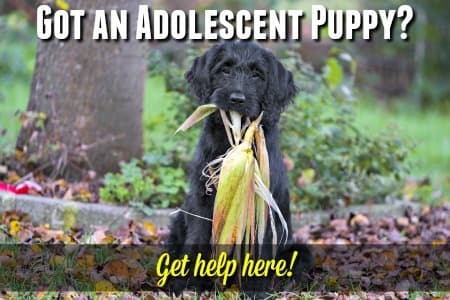 A frustrated, unfulfilled dog is going to have behavior problems, which could include excessive nipping, biting and 'herding' (whether it's the kids or the cat), destructive behavior as a result of his trying to get rid of the pent-up energy and frustration. Even obsessive-compulsive behavior such as spinning, tail-chasing, barking and so on. Now, I'm not saying ALL Border Collies (or the representatives of any other working breed) are not suited to being family pets, just that they need to be with the right type of family - one who understands their instincts, needs and behavior and is able to meet the dog's requirements. This is absolutely true for every single dog breed. 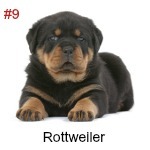 Other representatives of the smartest dog breeds also appear on the list of most popular dogs, these include the Labrador mentioned above, and also the Golden Retriever, German Shepherd, Rottweiler and the Poodle. The instinctive, adaptive and working/obedience components of canine intelligence vary from breed to breed. They're all different, to some degree, but the same in that the best fit for each one is a family who is familiar with their needs and able to meet them.